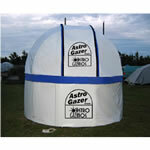 The Home size observatory is ideal for any individual observer or for a small club. 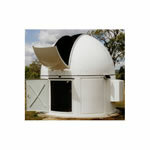 It adequately holds two to three people with a side or centrally mounted telescope. 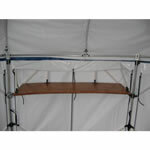 The addition of one or more wall storage locker panels will add to the available space. - Home Model - diameter 2.3m / 7'6"
- School Model - diameter 3.5m / 11'6"
- Easy to use hand operated dome rotation and shutter operation. 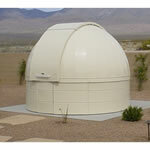 - Motorized dome rotation and / or motorized shutter operation. 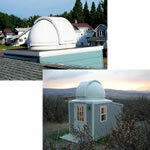 - Pendant control of motor from anywhere inside the observatory. - Motorized dome rotation: clockwise and anti-clockwise. 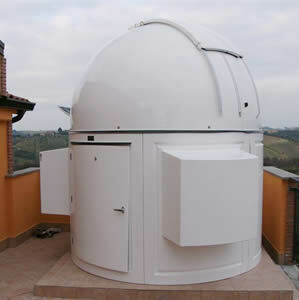 - Computer driven dome rotation and / or shutter operation - MaxDome. Instructions supplied for home assembly - Home and School Models. - Standard models withstand wind gusts up to 144 kph / 90 mph. - High Wind option withstands wind gusts up to 225 kph / 140 mph. Solar panels installed with motorized option to re-charge 12v batteries. 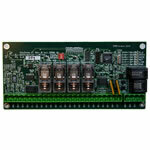 Mains battery charger 110 - 240v, optional. Night and Day Solar Vent available to circulate air. 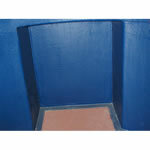 Excellent external finish - manufactured from marine grade fiberglass resins. - White exterior - color variations optional. - Interior walls - dove gray. - Interior dome - black. Stainless Steel fittings - corrosion free. Silent dome rotation - sealed bearings in urethane wheels.